You are here: Home / Do I need to buy new double glazed windows? 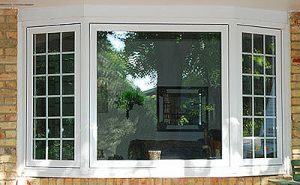 Dealing with faulty double glazed UPVC windows. In general, there is not really a lot to go wrong with double glazed windows, it’s often either a problem with the frames or with a failure of the sealed glass sections. In any event you should decide carefully whether to go for new and replacement units. One of the most common frame problems is that of warping, this is where the window opener no longer fits into the frame properly, and can sometimes be due to the ‘welded’ corners of the windows suffering fatigue making the frame drop or twist – for a frame with steel internal corner joins it could just be a matter of something coming loose and this might be able to be repaired, but if the corner joint has no inner reinforcing then this will mean the unit has to be replaced. Other common issues are with condensation & damp, if the damp is restricted to showing on the wall around the window, it could mean a simple job to replace the silicon sealant on the outside. If the condensation is just on the surface of the glass inside the house, then you may just need to check the trickle vents for blockage or allow more ventilation into the room. If the condensation is between the panes of glass, then the double glazing seals have failed and the whole glass unit needs replacing so you will require a builder to give you a quote for the replacement cost of double glazing.